As an informed citizen, you know that back in November the internet named an Australian boat Ferry McFerryface. Some laughed, others griped, and NSW Transport Minister Andrew Constance simply explained, "the people voted for it so we listened." Ferry McFerryface had won fair and square. But no, as it turns out, this is actually one of the more bizarre political scandals in an era made up almost exclusively of bizarre political scandals. Ferry McFerryface didn't win that competition, not even close. Andrew Constance actually overrode the vote and named the boat "Ferry McFerryface" in an attempt to generate press, which, uh, worked. He also undermined the project of democracy, but that's for him and his conscience to sort out. This was inspired by a developing trend in democratic maritime naming -- for instance, a small research submarine named Boaty McBoatface and a whale tracked by Greenpeace named Mister Splashy Pants. What's even stranger is that Constance originally claimed the name "Boaty McBoatface" won this competition, but they changed it to "Ferry McFerryface" to avoid confusion with the research submarine. This conspiracy of Watergate proportions was exposed by Nine News Australia after a freedom of information request revealed that the actual winner was the name "Ian Kiernan" (one of the founders of the environmental group Clean Up Australia). "Ian Kiernan" received 2,025 votes; "Ferry McFerryface" received 182. The vote itself cost $81,000 ($100,000 AU). 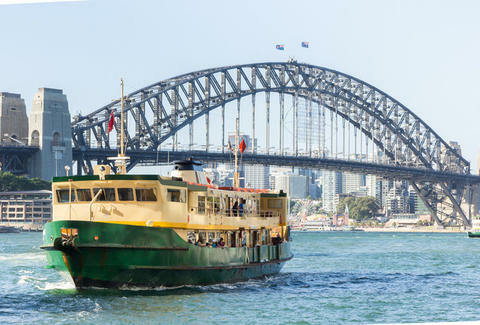 In light of this, the name "Ferry McFerryface" is no more, and the ferry will take the name "May Gibbs," after an Australian children's book author famous for Tales of Snugglepot and Cuddlepie, which both sound like great names for boats. Note that this still isn't the name that won the competition. “We always intended this vessel would be named for the kids,” said the mastermind of the conspiracy. The other five ferries in the fleet were named by the government and are called Catherine Hamlin, Fred Hollows, Victor Chang, Pemulwuy, and Bungaree. Constance had originally urged the public, "Let's really generate some of the best names possible." James Chrisman is a News Writer at Thrillist who believes those responsible should now be called Liar McLiarface. Send news tips to news@thrillist.com and follow him on Twitter @james_chrisman2.